In 1982, researchers Terence T. Gorski and Merlene Miller wrote a paper, "The Phases And Warning Signs of Relapse," in which they described Gorki's 37 warning signs and 10 phases that lead up to an alcohol relapse. Researchers have since subjected Gorski's signs to scientific scrutiny and found them to be "reliable and valid." The following has been edited to refer to the addict as "he," but the principles apply to female alcoholics as well, of course. Relapse does not happen when the addict takes the first drug or drink. Relapse is a process that starts long before the addict begins to use. The relapse process causes the addict to feel pain and discomfort when not using. This pain and discomfort can become so bad that the addict becomes unable to live normally when not using. In Alcoholics Anonymous this is called a dry drunk but the syndrome is recognized in all areas of addiction and is in essence, abstinence without recovery. The discomfort can become so bad that the addict feels that using can't be any worse than the pain of staying clean. 1. Concern about well-being: The addict feels uneasy, afraid and anxious. At times he is afraid of not being able to stay drug-free. This uneasiness comes and goes,and usually lasts only a short time. 2. Denial of the concern: In order to tolerate these periods of worry, fear and anxiety, the addict ignores or denies these feelings in the same way he had at other times denied being addicted. The denial may be so strong that there is no awareness of it while it is happening. Even when there is awareness of the feelings, they are often forgotten as soon as the feelings are gone. It is only when the addict thinks back about the situation at a later time that he is able to recognize the feelings of anxiety and the denial of those feelings. 3. Believing "I'll never use again": The addict convinces self that he will never use again and sometimes will tell this to others, but usually keeps it to self. Many are afraid to tell their counselors or other fellowship members about this belief. When the addict firmly believes he will never use again, the need for a daily recovery program seems less important. 4. Worrying about others instead of self: The addict becomes more concerned with the recovery of others than with personal recovery. He doesn't talk directly about these concerns, but privately judges the recovery program of other recovering persons. In the fellowship this is called "working the other guy's program". 5. Defensiveness: The addict has a tendency to defend when talking about personal problems, feelings or his recovery program even when no defence is necessary. 6. Compulsive behavior: The addict becomes compulsive ("stuck" or "fixed" or "rigid") in the way he thinks and behaves. There is a tendency to do the same things over and over again without a good reason. There is a tendency to control conversations either by talking too much or not talking at all. He tends to work more than is needed, becomes involved in many activities and may appear to be the model of recovery because of heavy involvement in fellowship 12 step work e.g. chairing meetings. He is often a leader in counselling groups by "playing therapist." Casual or informal involvement with people however is avoided. 7. Impulsive behavior: Sometimes the rigid behavior is interrupted by actions taken without thought or self-control. This usually happens at times of high stress. Sometimes these impulsive actions cause the addict to make decisions that seriously damage his life and recovery program. 8. Tendencies towards loneliness: The addict begins to spend more time alone. He usually has good reasons and excuses for staying away from other people. These periods of being alone begin to occur more often and the addict begins to feel more and more lonely. Instead of dealing with the loneliness by trying to meet and be around other people, he or she becomes more compulsive and impulsive. During this phase the addict begins experiencing a sequence of life problems that are caused by denying personal feelings, isolating self and neglecting the recovery program. Even though He wants to solve these problems and works hard at it, two new problems pop up to replace every problem that is solved. The most common symptoms are. 9. Tunnel vision: Tunnel vision is seeing only one small part of life and not being able to see "The big picture." The addict looks at life as being made up of separate, unrelated parts. He focuses on one part without looking at other parts or how they are related. Sometimes this creates the mistaken belief that everything is secure and going well. At other times, this results in seeing only what is going wrong. Small problems are blown up out of proportion. When this happens the addict comes to believe he is being treated unfairly and has no power to do anything about it. 10. 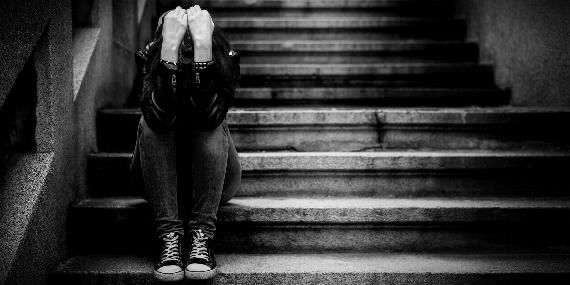 Minor depression: Symptoms of depression begin to appear and to persist. The person feels down, blue, listless, empty of feelings. Oversleeping becomes common. He is able to distract self from these moods by getting busy with other things and not talking about the depression. 11. Loss of constructive planning: The addict stops planning each day and the future. He often mistakes the slogan "One day at a time" to mean that one shouldn't plan or think about what he is going to do. Less and less attention is paid to details. He becomes listless. Plans are based more on wishful thinking (how the addict wishes things would be) than reality (how things really are). 12. Plans begin to fail: Because he makes plans that are not realistic and does not pay attention to details, plans begin to fail. Each failure causes new life problems. Some of these problems are similar to the problems that had occurred during using. He often feels guilty and remorseful when the problems occur. During this phase the addict is totally unable to initiate action. He goes through the motions of living, but is controlled by life rather than controlling his life. The most common symptoms are. 13. Daydreaming and wishful thinking: It becomes more difficult to concentrate. The "if only" syndrome becomes more common in conversation. The addict begins to have fantasies of escaping or "being rescued from it all" by an event unlikely to happen. 14. Feelings that nothing can be solved: A sense of failure begins to develop. The failure may be real, or it may be imagined. Small failures are exaggerated and blown out of proportion. The belief that "I've tried my best and recovery isn't working" begins to develop. 15. Immature wish to be happy: a vague desire "to be happy" or to have "things work out" develops without the person identifying what is necessary to be happy or have things work out. "Magical thinking" is used: wanting things to get better without doing anything to make them better. During this period the addict can't think clearly. He becomes upset with self and others, becomes irritable and overacts to small things. 17. Irritation with friends: Relationships become strained with friends, family, counselors and fellowship members. The addict feels threatened when these people talk about the changes in behavior and mood that are becoming apparent. The conflicts continue to increase in spite of the addicts efforts to resolve them. The addict begins to feel guilty and remorseful about his role in these conflicts. 18. Easily angered: The addict experiences episodes of anger, frustration, resentment and irritability for no real reason. Overreaction to small things becomes more frequent. Stress and anxiety increase because of the fear that overreaction might result in violence. The efforts to control self adds to the stress and tension. During this period the addict becomes so depressed that he has difficulty keeping to normal routines. At times there may be thoughts of suicide, using or drinking as a way to end the depression. The depression is severe and persistent and cannot be easily ignored or hidden from others. The most common symptoms are. 19. Irregular eating habits: The addict begins overeating or undereating. There is weight gain or loss. He stops having meals at regular times and replaces a well balanced, nourishing diet with "junk food." 20. Lack of desire to take action: There are periods when the addict is unable to get started or get anything done. At those times he is unable to concentrate, feels anxious, fearful and uneasy, and often feels trapped with no way out. 21. Irregular sleeping habits: The addict has difficulty sleeping and is restless and fitful when sleep does occur. Sleep is often marked by strange and frightening dreams. Because of exhaustion he may sleep for 12 to twenty hours at a time. These "sleeping marathons" may happen as often as every six to fifteen days. 22. Loss of daily structure: Daily routine becomes haphazard. The addict stops getting up and going to bed at regular times. Sometimes he is unable to sleep, and this results in oversleeping at other times. Regular meal times are discontinued. It becomes more difficult to keep appointments and plan social events. The addict feels rushed and overburdened at times and then has nothing to do at other times. He is unable to follow through on plans and decisions and experiences tension, frustration, fear, or anxiety that keep him/her from doing what needs to be done. 23. Periods of deep depression: The addict feels depressed more often. The depression becomes worse, lasts longer, and interferes with living. The depression is so bad that it is noticed by others and cannot be easily denied. The depression is most severe during unplanned or unstructured periods of time. Fatigue, hunger and loneliness make the depression worse. When the addict feels depressed, he separates from other people, becomes irritable and angry with others, and often complains that nobody cares or understands what he is going through. During this phase the addict becomes unable to control or regulate personal behavior and a daily schedule. There is still heavy denial and no full awareness of being out of control. His life becomes chaotic and many problems are created in all areas of life and recovery. The most common symptoms are. 24. Irregular attendance at fellowship and treatment meetings: The addict stops attending fellowship meetings regularly and begins to miss scheduled appointments for counselling or treatment. He finds excuses to justify this and doesn't recognize the importance of fellowship and treatment. He develops the attitude that meetings and counselling aren't making me feel better, so why should I make it a number one priority? Other things are more important. 25. Development of an "I don't care" attitude: The addict tries to act as if he doesn't care about the problems that are occurring. This is to hide feelings of helplessness and a growing lack of self-respect and self-confidence. 26. Open rejection of help: The addict cuts self off from people who can help. He does this by having fits of anger that drive others away, by criticising and putting others down, or by quietly withdrawing from others. 27. Dissatisfaction with life: Things seem so bad that the addict begins to think that he might as well use because things couldn't get worse. Life seems to have become unmanageable since using has stopped. 28. Feelings of powerlessness and helplessness: The addict develops difficulty in "getting started;" has trouble thinking clearly, concentrating, and thinking abstractly; and feels that he can't do anything and begins to believe that there is no way out. The addict's denial breaks and suddenly he recognizes how severe the problems are, how unmanageable life has become, and how little power and control he has to solve any of the problems. This awareness is extremely painful and frightening. By this time he has become so isolated that there is no one to turn to for help. The most common symptoms are. 30. Thoughts of social using: The addict realizes that drinking or using drugs would help him/her to feel better and begins to hope that he can drink/use normally again and be able to control it. Sometimes these thoughts are so strong that they can't be stopped or put out of mind. There is a feeling that drinking/using is the only alternative to going crazy or committing suicide. Drinking/using actually looks like a sane and rational alternative. 31. Conscious lying: The addict begins to recognize the lying and the denial and the excuses but is unable to interrupt them. 32. Complete loss of control: The addict feels trapped and overwhelmed by the inability to think clearly and take action. This feeling of powerlessness causes the belief that he is useless and incompetent. As a result there is the belief that life is unmanageable. During this phase the addict feels trapped by the pain and inability to manage his life. There seems to be only three ways out – insanity, suicide, or drug use. He no longer believes that anyone or anything can help him/her. The most common symptoms are. 33. Unreasonable resentment: The addict feels angry because of the inability to behave the way he wants to. Sometimes the anger is with the world in general, sometimes with someone in particular, and sometimes with self. 34. Discontinuance of fellowship attendance and all treatment: The addict stops attending Fellowship meetings. When a helping person is part of treatment, tension and conflict develop and become so severe that the relationship usually ends. The addict drops out of professional counselling even though he needs help and knows it. 35. Overwhelming loneliness, frustration, anger and tension: The addict feels completely overwhelmed. He believes that there is no way out except using, drinking, suicide, or insanity. There are intense fears of insanity and feelings of helplessness and desperation. During this phase the addict becomes totally unable to function normally. He may use drugs or alcohol or may become disabled with other conditions that make it impossible to function. The most common symptoms are. 36. Loss of behavioral control: The addict experiences more and more difficulty in controlling thoughts, emotions, judgments, and behaviors. This progressive and disabling loss of control begins to cause serious problems in all areas of life. It begins to affect health and well-being. No matter how hard he tries to regain control it is impossible to do so. 37. Acute relapse period: The addict experiences periods of time when he is totally unable to function normally. These periods become more frequent, last longer, and begin to produce more serious life problems.